Faced with the ultimate challenge of life—confronting your death—how would you want to be remembered? Are there stories you want to tell? Explanations about how you felt and why? Maybe you wish to ensure that future generations know your family lore. It’s likely that you seek comfort and strength. But at the same time a deep desire to heal unresolved issues may unsettle you. And reaching for a spiritual connection may be the path you want to find. There is a way to do all these things, as overwhelming as they may seem. 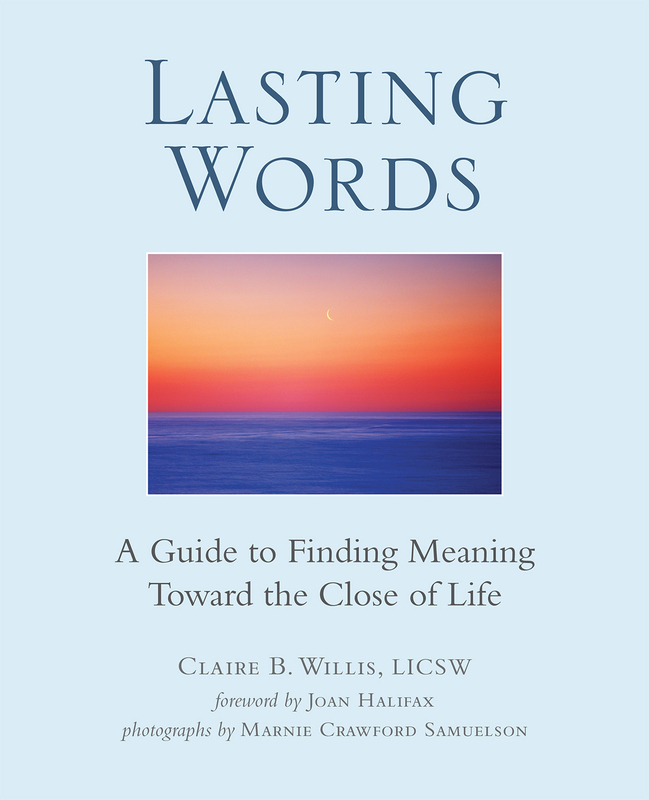 The answer is Lasting Words: A Guide to Finding Meaning Toward the Close of Life by Claire B. Willis. Her experience as a clinical social worker, an ordained lay Buddhist chaplain and a licensed yoga teacher led to the creation of this indispensable book. Each chapter is based on commonly identified end-of-life concerns from research, coupled with her own experience of leading writing groups for profoundly ill people.